Burl Ray Rogers a minister of Octavia Freewill Baptist Church went home to be with the Lord at his home with family around him 31st of March 2019. Burl, known to many as Sonny, was born April 29,1944 in Hardy, KY, a son of the late Dewey L Rogers Sr and Lucille Childers Rogers. In addition to his parents, he was preceded in death by two sisters, Sandy Marcum, Barbara Ann Rogers, and four brothers, Chester Dennis Rogers, James Cecil Rogers, Michael Rogers, and Robert Rogers. Burl was a disabled coal miner, having worked for Sidney Coal Company. Since 1986, Burl loved to travel to different area churches preaching God’s word. When visiting other churches, he welcomed everyone as a friend and never let anyone feel like a stranger. He enjoyed making everyone laugh and he brought a smile to many faces. The children of the church thought of Burl as a grandfather. He was loved by many - both young and old. A loving husband, devoted father, doting grandfather, charismatic brother, noble preacher, dependable friend and the #1 fan of the University of Kentucky basketball team. Sonny spent his life devoted to the Lord and spreading laughter through his own jokes and stories - most of the time at the expense of the people he loved and cared for the most. Sonny's magnetic personality and bright light brought to this world will never be forgotten by the people that were blessed enough to share his life with him. Those left to honor his memory include; his beloved wife, Virginia “Cookie” Rogers; his number one daughter, Renee (Jeff) Gooch of Kings Mountain, KY; Alicia Rogers of Bastin Creek, KY; Burl Jr. (Mary Jo) Rogers of Liberty, KY; step-sons: James (Mary) Craddock of Taylorville, WV and William Joe Jr. Craddock of the home; two sisters: Linda Glaze of Salem, UT and Betty (Mike) Marcum of Murfreesboro, TN; four brothers: Dewey Lee Jr. (Diane) Rogers of Columbia, KY, Larry Eugene (Ginger) Rogers of Lima, OH, Billy Jack (Teresa) Rogers of Versailles, KY, and Craig Stephen (Karen) Rogers of Lebanon, TN; eleven grandchildren: Heather Montgomery, Melissa Gooch, Sharon “Chinky” Floyd, William Rowland, Adrian Lawless, Corey Rogers, Tiffany Rogers, Gage Rogers, Jessica (John) Sparks, James (Marie) Craddock, Josh (Erin) Craddock; eight great-grandchildren: Kensley & Brently Craddock, Jay, Jackson, James and Josh Sparks, Andrew and Madeline Craddock, and a special great-grandchild, Hayden Montgomery, who prayed daily for his pawpaw Sonny; and a host of family and friends. 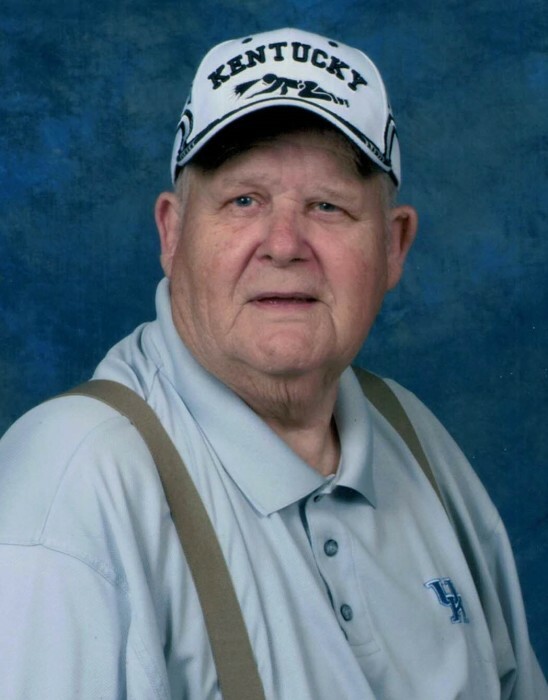 Visitation will begin at 6:00 P.M. Tuesday, April 2nd, and Wednesday, April 3rd, at Octavia Freewill Baptist Church, McAndrews, KY with special services nightly at 7:00 P.M.
Funeral services will be conducted at 1:00 P.M. Thursday, April 4, 2019 at the Octavia Freewill Baptist Church, McAndrews, KY with Reverends: Dwayne Yates, Gerria Reynolds, Dennis Hinkle, Lee Dotson, and Ray Stanley officiating. Burial will follow in the Chambers-Diamond Cemetery, Taylorville, with family and friends serving as pallbearers.